It was February 14th 1929. 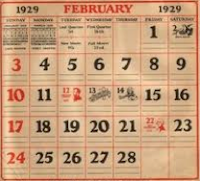 Now, eighty-four years later, people are still mesmerized by the events and the stunned by the brutality of the St. Valentine’s Day Massacre. 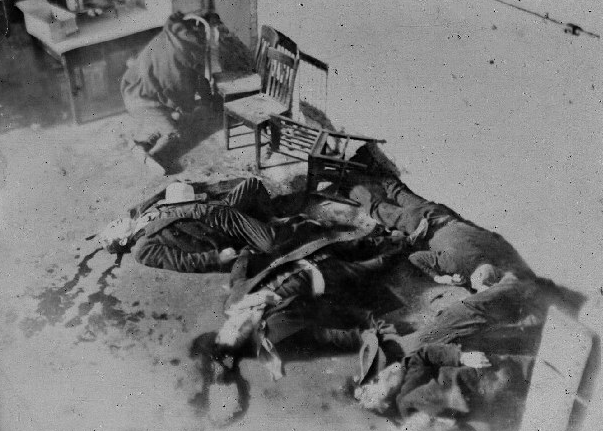 What began as a quiet morning on the North Side of Chicago turned into one of the most atrocious mob hits in gangland history. It was an incident that would become associated with gang violence and killings for decades to come. Four men, posing as police officers conducting a routine raid, entered the SMC Cartage garage at 2122 North Clark Street. 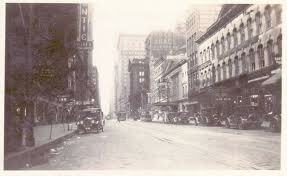 The building was being used to store bootleg liquor. 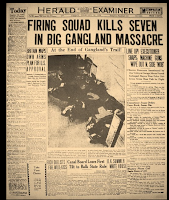 Seven men were gunned down. Six of them were part of George “Bugs” Moran’s North Side Irish gang. They had waged a continuous gangland battle against Al Capone for control of the bootleg liquor in the city of Chicago. 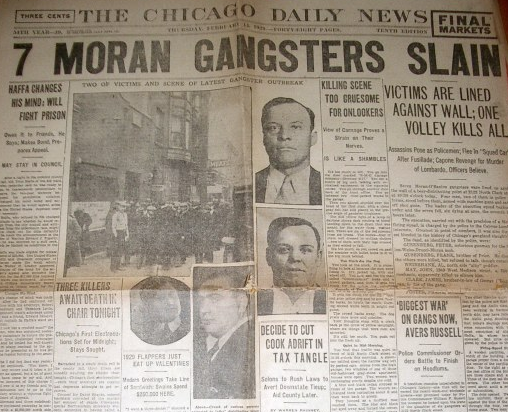 At the start of the year, Moran had one of Al “Scarface” Capone’s South Side Italian gang members murdered. Capone vowed revenge on Valentine’s Day. 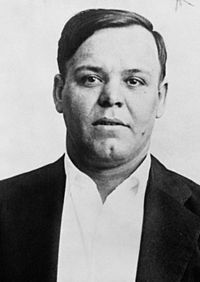 Moran received a call on February 13th that a special shipment of bootleg whiskey would be coming in the next day, February 14th, to the garage on North Clark. Moran agreed to be there when it arrived. 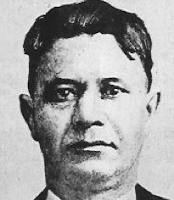 James Clark, Moran’s brother-in-law, and second in command. 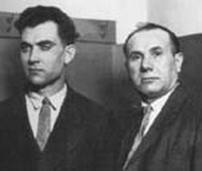 Frank Gusenberg and his brother, Peter Gusenberg, both hit men for Moran. Adam Heyer, bookkeeper for the gang. Albert Weinshank managed several ‘businesses’ for Moran. Johnny May, the gang’s auto mechanic, was also there working on a vehicle. Johnny had brought his dog, Highball, with him. And, hanging around, as usual, was local optometrist, Reinhardt Schwimmer. Schwimmer enjoyed the thrill of being on the fringe of the gang. As Moran’s car was approaching the garage, a police car pulled up in front and four men got out; two were in uniform, two were not. Moran thought it was a raid and directed his driver to keep going. It wasn't until later in the day when he heard of the killings that he realized it had been a set up for him. 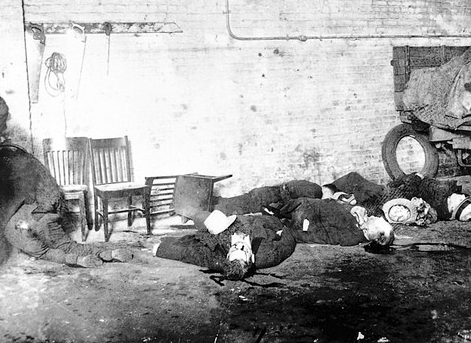 The “police” entered the garage and lined the seven men up against a wall. They then pulled out Thompson sub-machine guns and opened fire. Over 70 rounds of ammunition were fired. 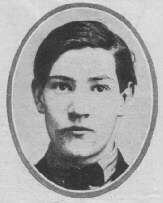 All of Moran’s men were killed, along with Schwimmer. 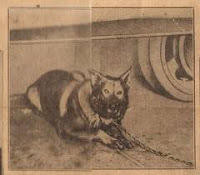 Only the dog survived. Shortly afterwards, the landlady of the adjoining building sent a boarder next door to see why the dog was barking and howling. 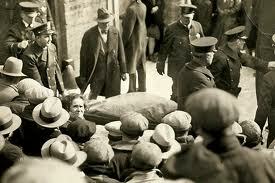 After discovering the murders, the police were summoned. 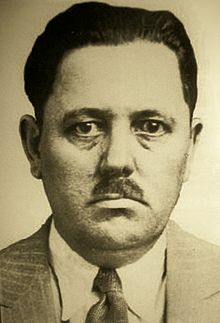 When Moran was told about the killings, he immediately fingered Capon as ordering the hit. 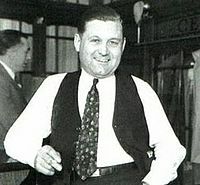 When the media questioned Capone, he responded, "The only man who kills like that is Bugs Moran". 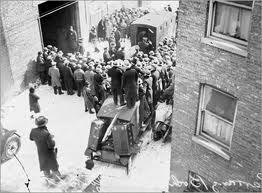 The public was shocked by the cold-blooded brutality of the murders. Chicago gangster, Al Capone was the prime suspect in the murders. 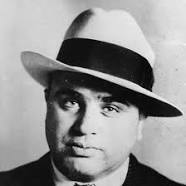 But Capone could not be linked to the killings. 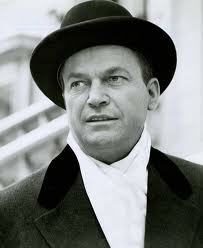 He had an air-tight alibi - he was in Miami at the time. 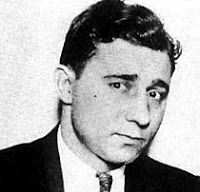 Police arrested several men suspected of being gunmen, but only one was directly connected to Capone. 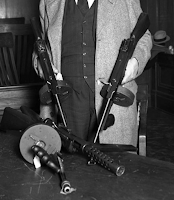 “Machine Gun” Jack McGurn was a member of Capone’s Outfit and said to be the mastermind behind the massacre. 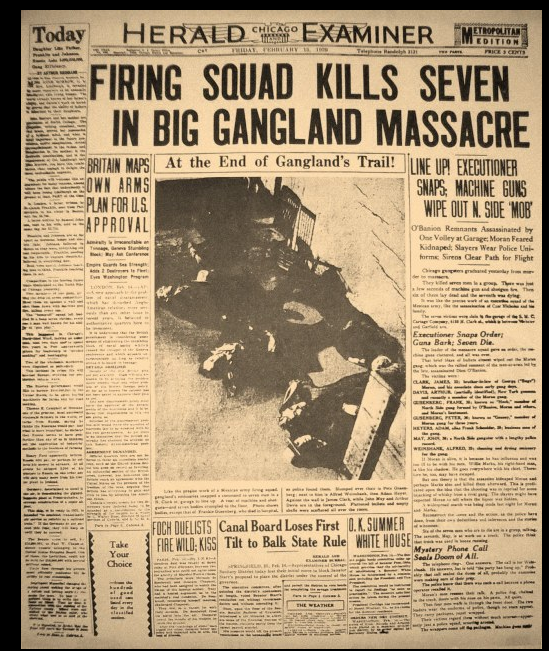 He supposedly hired gang members from outside of Chicago, so that none would be recognized, if there were survivors. 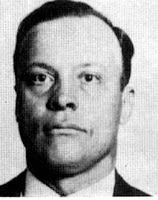 Those believed to be the triggermen were Albert Anselmi, Fred Burke, John Scalise, and Joseph Lolordo. 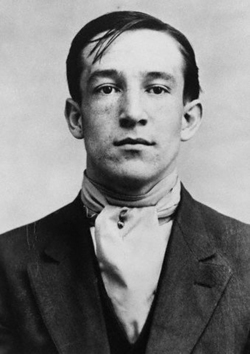 Jack McGurn also had a provable alibi. Fred Burke was arrested, but before he could be tried, he was charged with killing a police officer and sentenced to life in prison. John Scalise and Albert Anselmi were found dead on a back road in Indiana two months after the shootings. In the end, no one was ever tried or convicted for the murders. The garage was torn down in 1967. 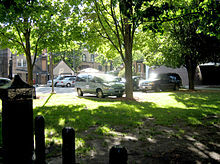 Forty-six years after the demolition of the garage, tourists still stop by the site, now an empty lot – and remember that bloody Valentine's Day. Thanks for that I'd read some about it ut never knew the background to it.